1. Log in and go to your course and click Turn editing on in the upper right corner of the screen. 2. A series of “Add an activity or resource” drop down menus will appear. 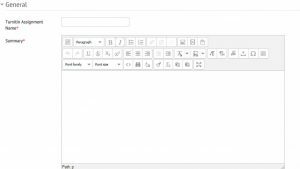 Click one of the drop down menus and click [Turnitin Assignment 2]. 4. Choose the Submission Type from the drop down menu. 6. Anonymous Marking will allow you to grade submissions without the author’s identity. 7. 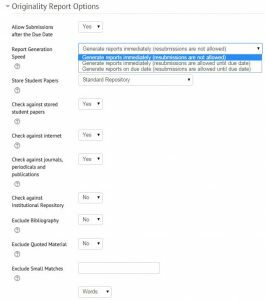 Choosing Allow submission of any file type will allow users to upload files that may not be compatible with Turnitin’s Originality report or GradeMark settings, but allows greater student flexibility. 8. Determine whether to allow students to see their Originality report or not by selecting Yes or No from the drop down menu. *If you have multiple assignment parts, repeat these steps for each assignment part. 2. Set your start date, due date, and post date. * Start date defaults to the time you start the setup of the assignment, due date and post date default to a week out. The post date MUST be the same or after the due date. 1. Below are the default settings for the originality report options. * We do not have an institutional repository. 1. You can choose to create and/or attach a rubric to this assignment here. 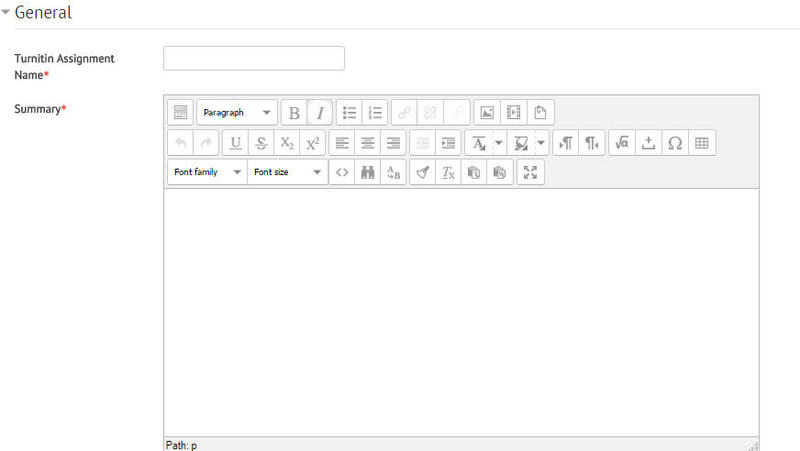 Click Save and Display when you are finished setting up the assignment.